With new eateries springing up all over town and franchise restaurants taking over strip malls all over the country, how can an independent restaurant not only keep afloat, but also thrive in such a market with a limited marketing budget? Although independent restaurants don’t usually have the deep pockets of their franchised colleagues, they do, generally speaking, have an eye for quality and a penchant for creativity. If you own an independent restaurant and wonder how in the world you can compete with the big guys on your budget, we want to show you how. Here are several low-budget ways to maximize your small business marketing that won’t blow your bottom line. 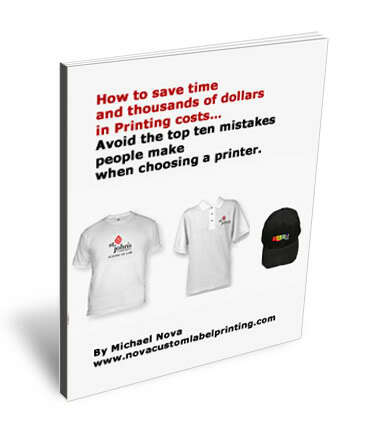 Sure you can promote your business with custom printed t shirts featuring your logo imprinted on the chest but let’s take things a step further. Every successful restaurant we know passes out printed menus in surrounding neighborhoods. A great idea. Really. But you don’t want to be just successful. You want to be the talk of the town. Photos of your luscious offerings, along with brief descriptions, distributed around your neighborhood just before mealtime will entice some folks who don’t have previous dinner plans to come out to your place. But how about those who have other plans? You don’t want your hard work to end up in the trash can, do you? How about having the printer include a coupon at the bottom of the menu? In today’s tough economy, many people regard coupons almost as if they were cash. With a coupon attached to your menu, even the neat freaks in your potential customers’ family will have a tough time throwing it out. Consult a printer to see how easily you can add a coupon to your handbills—and watch the customers pour through your doors. Other businesses—and nonprofit organizations—often hold events to promote their work. Many of these events are highly-publicized events, with coverage in newspapers, radio, and television—not to mention those organizations’ social media outlets. Many of those events serve food. You could offer to serve your high-quality food at one of their events in exchange for publicity. What better way to showcase your cooking skills than to serve it to a group of corporate executives or high-end donors? You could capitalize on your partnership even more by promoting the event to your own clientele with low-cost, high-quality flyers. For example, musicians are always looking out for new gigs. Your restaurant, on the other hand, could use some live music to create an upscale ambience. By leveraging the power of word of mouth and social media, you can locate local musicians with a big following. First, put out the word to your customers and friends that you are looking for the right music group, one that has a following and suits your establishment’s taste. You’ll be surprised how fast word of mouth spreads. These days everyone is a musician or knows a musician! Then head over to their Facebook and Twitter profiles to see how many fans the prospective music group has—called “likes” on Facebook and “followers” on Twitter. If their fans are many and loyal (check out some of their comments), then you have identified some good prospects. Contact those bands to arrange a meeting.